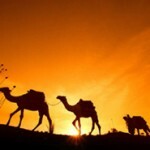 A camel safari with one of Kenya’s top conservationists in the unrivalled beauty of the Mathews mountains. No cars, just the Rendille tribesmen to guide you through a land full of game, birds and flora. Change the way you view the world as you hear about the pressures of locals’ grazing needs and those of conservation. Relax before or afterwards at Il Ngwesi lodge. A seriously whacky place where the designer’s imagination has run riot. About £235 per person per night. Fancy exploring the Okavango delta, Makgadikgadi pans and Chobe area without other people? 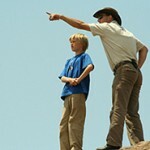 Clint will take you on a private mobile safari at less than half the nightly cost of a smart lodge. 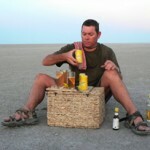 He has fifteen years of safari experience (just like us, in fact) and even does the cooking. 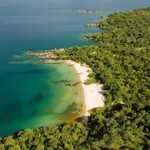 But what you really get is a private, off-piste safari for between 2-6 people with great guiding, comfy tents and no fuss. About £200 per person per night. One family that travelled this summer with one of our top guides in Tanzania saw 70 lions in a week. Criss-crossing the great plains of the Serengeti to catch the wildebeest migration and marvel at all that incredible savannah is one of the African safari musts in my book. We have comfortable mobiles that will take you into less well known areas with passionate guides, fun camp-hands and surprisingly scrumptious food. About £325 per person per night. 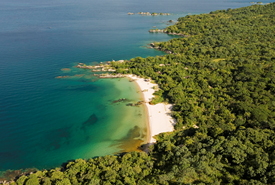 This is a truly remote beach, not on the edge of the Indian Ocean as you might expect but in a far-flung corner of Lake Niassa (better known as Lake Malawi). The sand is as squeaky and wonderful as some parts of the Indian Ocean but swimming is salt free and there won’t ever be more than 14 people on the beach! A little tricky to get to but it definitely gets my vote for a cool beach destination with added community projects, water sports, good looking after but no gold plated taps. About £160 per person per night.